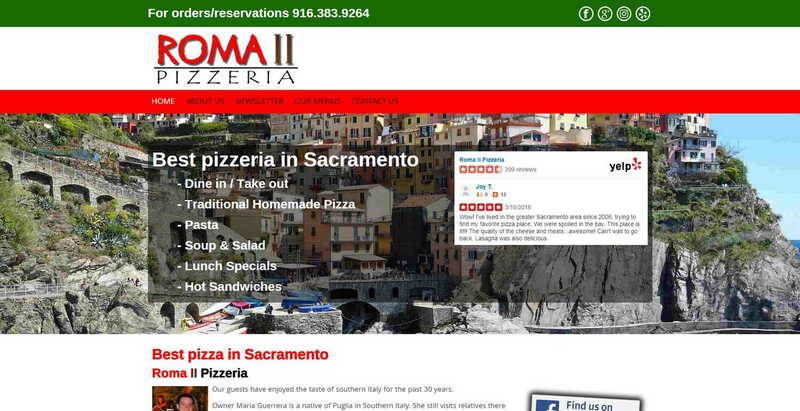 Roma II Pizza already had an existing site, which they'd had for quite some time. The existing site was bland and dated, and not something that welcomed diners in. We originally rebuilt the site with a great image from a small Italian hillside village (different to the one on the current site). Recently we rebuilt the template to make the site more modern.